Ever needed a last minute cute dog gift for someone who has everything? Or even a gift for someone experiencing a pet loss? 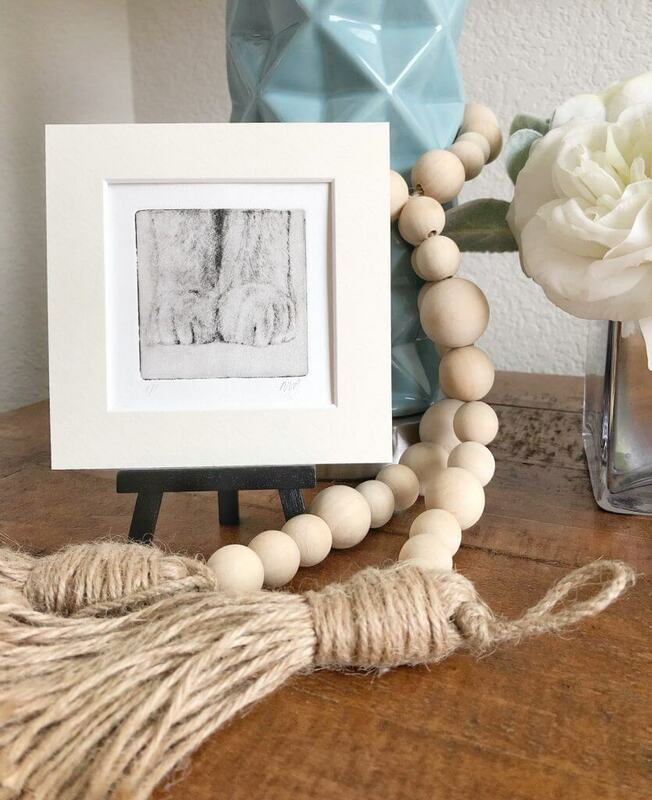 A sympathy card is nice in that instance, but it’s hard to find a good small pet remembrance gift that shows you’re thinking of them and sending love. 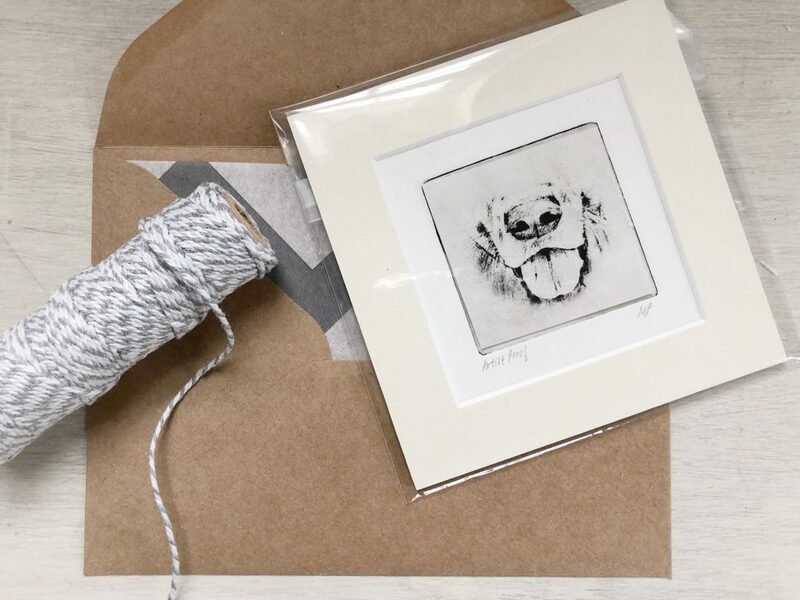 These handmade cute dog gifts and cat gifts (made with sunshine, metal, ink & printing press) were created to solve these situations and be a thoughtful treat for pet owners to treasure. I have clients commissioning custom pet art of their own loved pet companion for themselves or as a gift. Sometimes people don’t have a picture handy for me to etch or sometimes they just want a LITTLE something to give, so these small cute dog gifts are a unique little treat handcrafted with care in sunny Southern Ca! Since these small pet art gifts are not custom and just general dog breed faces, they are premade and ready to ship. 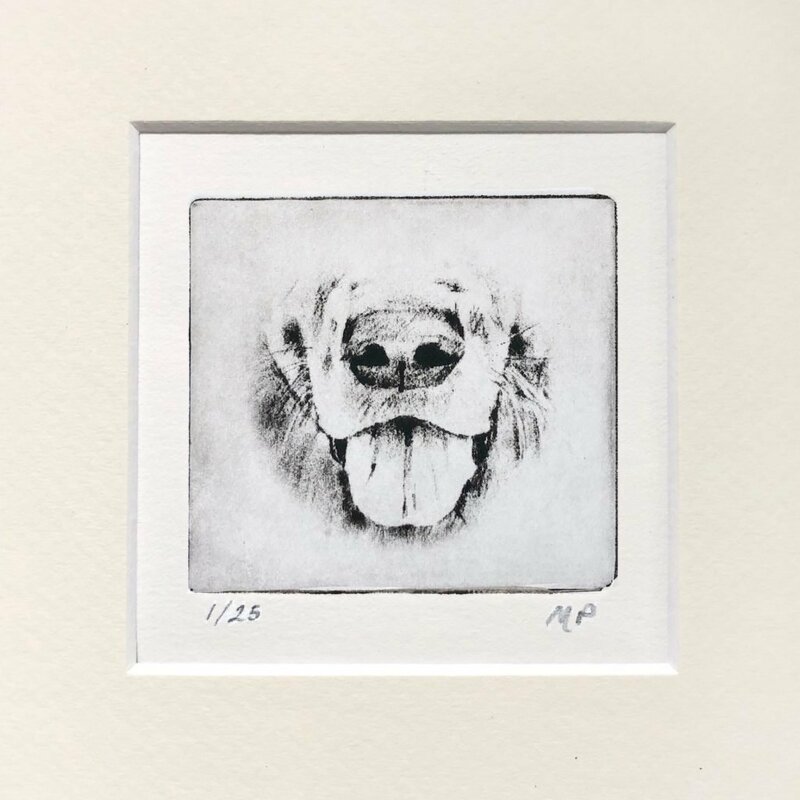 These mini etchings are only $39 versus a custom etching of a specific furry best friend which takes a lot more time and material to create. 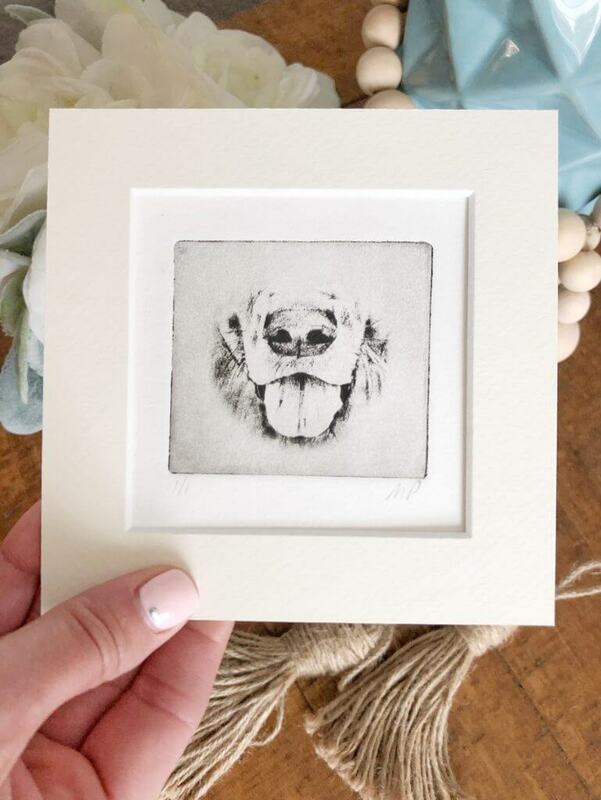 So far these little pet portrait noses seem to be a hit! 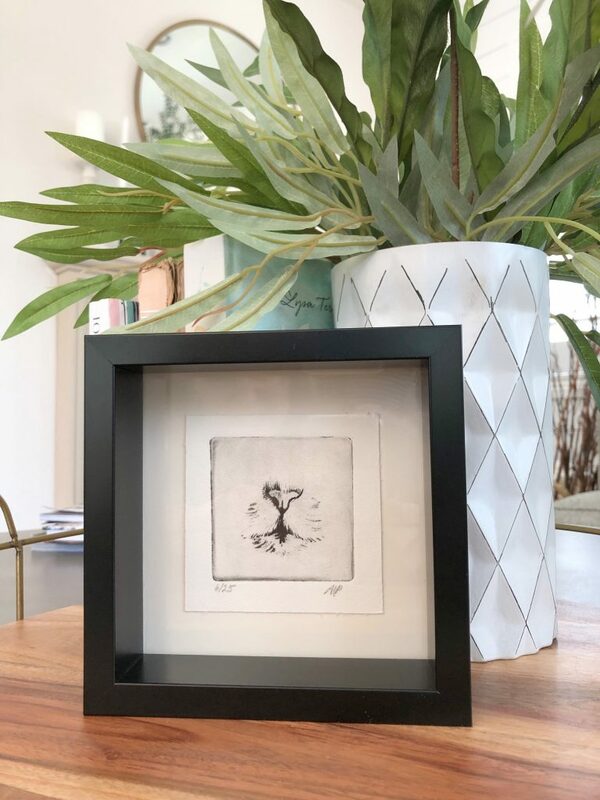 The pet art etchings have a vintage look and letterpress feel. Here is the golden retriever dog art wrapped and ready to delight! So, if you need handmade cute dog gifts or a cat gift for a friend, teacher, your veterinarian, dog groomer or dog walker, then this might be a thoughtful and easy solution for you! 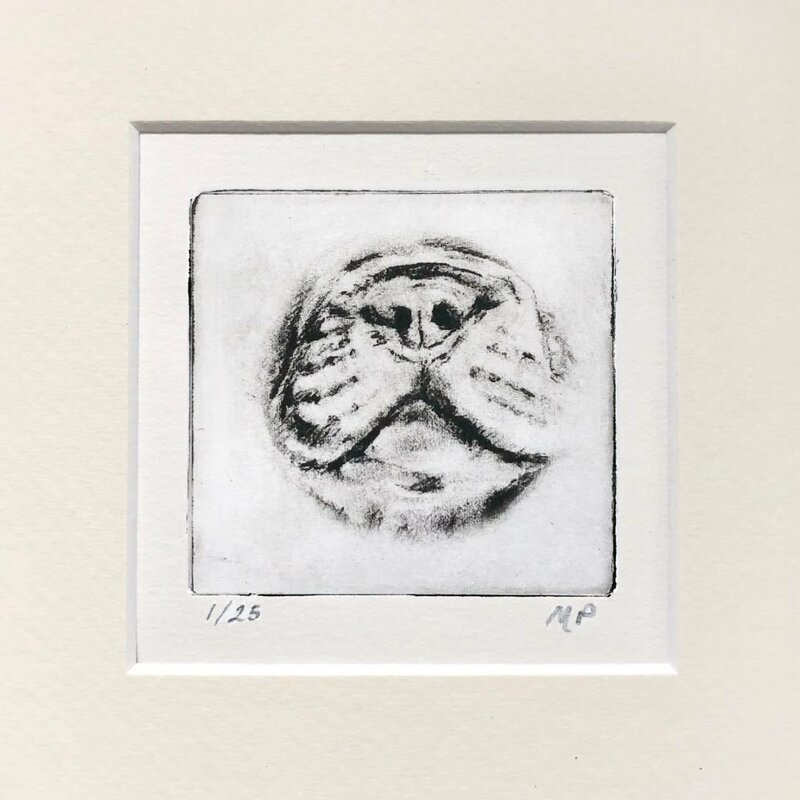 The mini pet art etchings are on my website at Greyboy Pet Portraits.  Click the “Shop Now” orange button on the top right of the website. If you don’t see the breed you’re looking for listed in the shop, simply contact me and ask me to make one! Bernese / Border Collie / Lab are up next! love to delight pet owners with unique artwork to enjoy for themselves or gift to someone special. 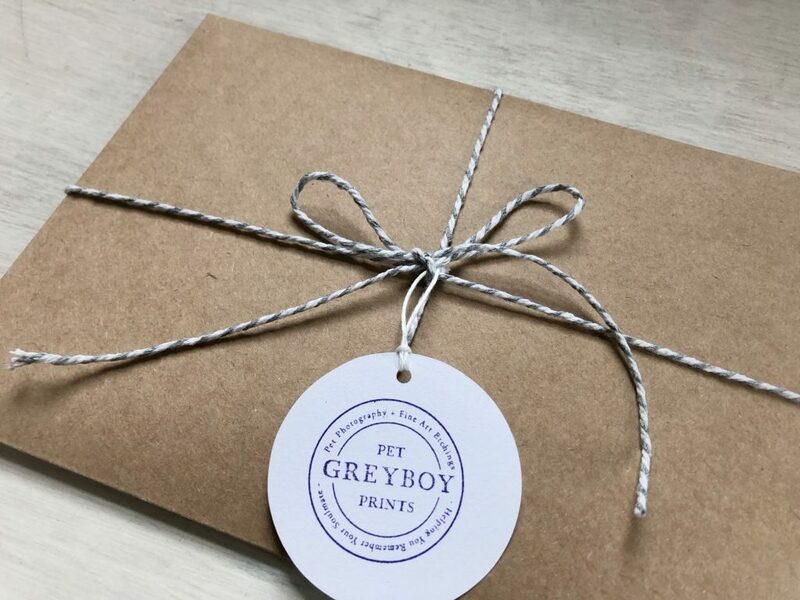 See all the options in the Greyboy Pet Portraits online shop. Who would you love to surprise with a “thinking of you” gift? It’s wrapped and ready to ship!